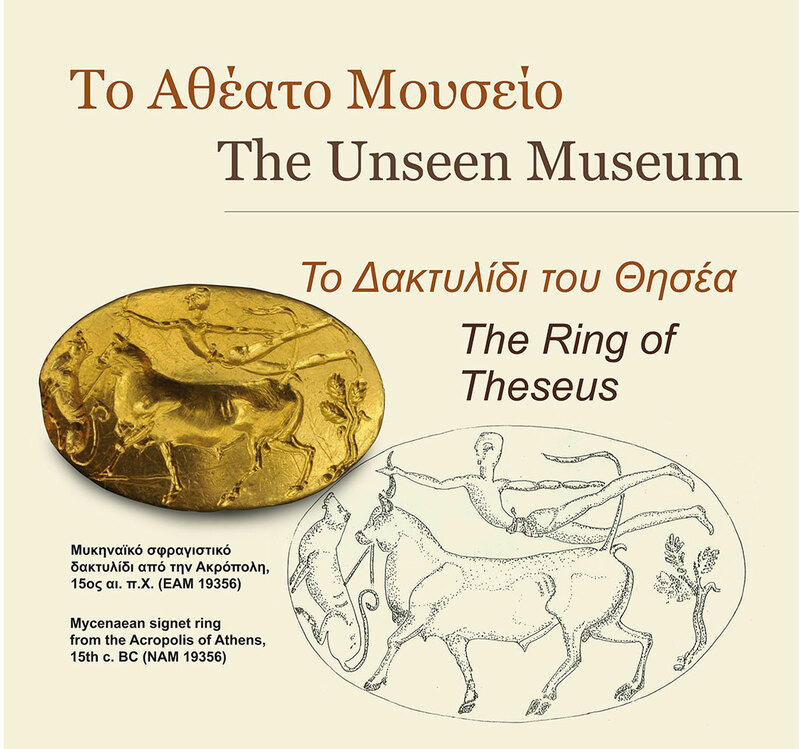 The first exhibit of the Unseen Museum was the ring of Theseus, a Mycenaean gold signet ring, a random find from the Anafiotika houses neighbourhood that turned up among the earth deposits thrown down the slope, in the course of the works for the extension of the old Acropolis Museum, in the 1950’s. The bezel of the ring depicts the popular Minoan scene of bull-leaping, flanked by a lion and a tree. Mycenaean signet rings were personal prestige objects of the first Greek-speaking rulers, the Mycenaeans. The choice of this particular scene on a ring that was to be worn by the rulers of Athens indicates a preference for a Minoan theme and its symbolic connotations. We do not know the reason for this inclination, but, nonetheless, it generates a variety of interpretive associations into our mind. The ring of Theseus, along with a contemporaneous stone vase fragment depicting the same theme from the Acropolis of Athens (NAM, room 3), revive the connection between myth and archaeological finds. 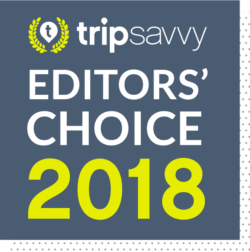 The legend has it that Theseus, the first king-founder of the city of Athens, overpowered the fierce Minotaur as well as the formidable King Minos of Crete. Yet another Athenian myth, according to which King Minos threw his signet ring into the sea and then dared Theseus to find it, seeks its magical confirmation in the most beautiful manner through the present exhibit. 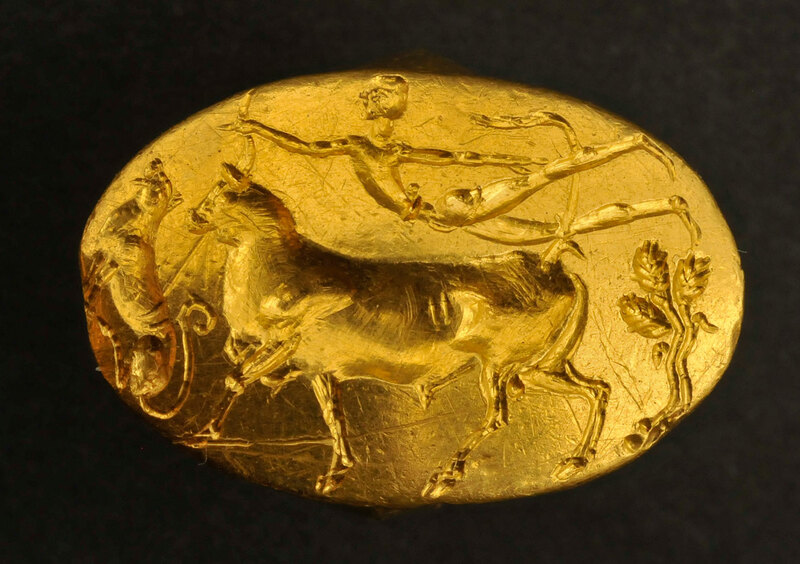 The Greek public has the opportunity to see this ring on display for the first time. The ring of Theseus will be on display from 12 of January until 15 of March 2015.